Twenty international and Iranian NGOs draw attention to the situation of women human rights defenders in Iran, who seek truth and justice on International Women’s Day. Justice for Iran (JFI), alongside other organisations, issued a joint public statement calling on the Iranian authorities to quash the charges and sentences issued against Mansoureh Behkish, Maryam Akbari-Monfared, Raheleh Rahemipour, and Ahmad Montazeri. The Iranian authorities should stop the harassment, intimidation and prosecution of human rights defenders seeking truth and justice on behalf of individuals who were summarily executed or forcibly disappeared during the 1980s, and their families, said 20 human rights groups. Over the past few months, several human rights defenders, including Mansoureh Behkish, Maryam Akbari-Monfared, and Raheleh Rahemipour, have been subjected to harassment, reprisals, or prosecution on vague national security-related charges for their peaceful efforts to learn the fate and whereabouts of their loved ones. 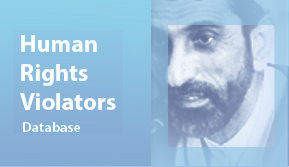 The persecution signals renewed efforts by the authorities to suppress the ongoing, three-decades-long struggle to reveal the truth about the gross human rights violations that were perpetrated by the Iranian authorities during the 1980s, including the extrajudicial executions of several thousands in 1988 and their burial in unmarked mass graves. The latest wave of persecutions of those seeking truth and justice appears to have been triggered by the August 2016 release of an audio recording captured at a meeting in 1988, in which senior officials are heard discussing and defending the details of their plans to carry out the 1988 mass executions. The audio recording has sent shockwaves across the country and prompted the authorities to admit, for the first time, that the mass killings of 1988 were planned at the highest levels of government. Ahmad Montazeri, the son of the late Ayatollah Hossein Ali Montazeri, who was at that time the Deputy Supreme Leader, has since been sentenced to imprisonment for posting the audio file on his father’s website.